Do you think you have what it takes to work at a prosecutor’s office? 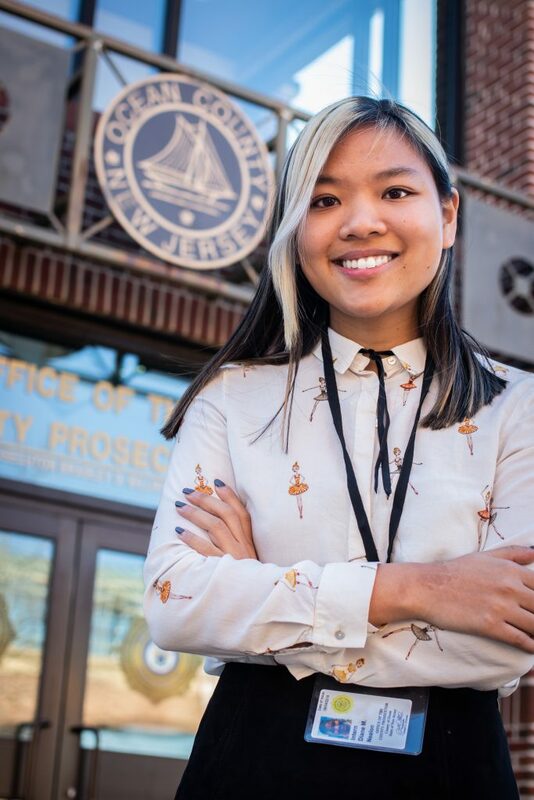 Well check out senior computing and informatics major Diane Nealon’s perspective on interning at the Ocean County Prosecutor’s Office (OCPO), where she assists the High Technology Crime Unit in providing law enforcement agencies in the county with tools to assist with investigating technology related crimes. 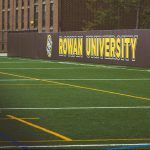 Through Diane’s experiences at Rowan University she discovered her passion for information technology and the capability this industry has to help people. Diane, a Manahawkin (Ocean County) native, studies computing and informatics (aka information technology) at Rowan with two minors in computing science and mathematics. 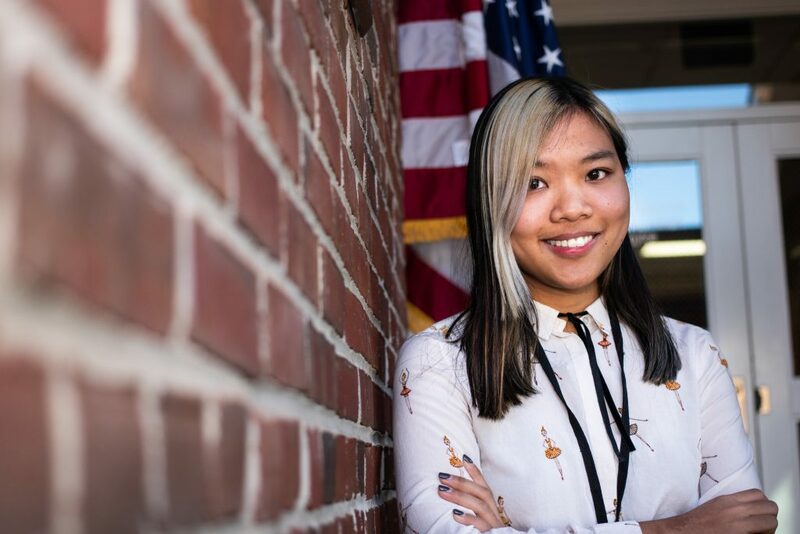 As a senior, Diane gained a stronger understanding of programming concepts, software engineering and project management principles in the classroom that helped her in her internship. All pieces to the same puzzle that assisted her in becoming a stronger intern at OCPO. 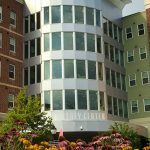 A typical week for Diane involves her commuting to Rowan on Mondays and Wednesdays for classes and working at OCPO on Tuesdays and Thursdays. She enjoys keeping herself busy and felt incredibly thankful for getting the opportunity to work with such incredible people within the law enforcement industry. This opportunity came to Diane because of her constant diligence – hearing about OCPO’s internship from a close friend. Once the internship hit Diane’s radar, she quickly acted by reaching out to OCPO’s High Technology Crime Unit. After submitting the required cover letter and resume Diane became excited, anxious, and nervous. A position inside a prosecutor’s office, even as an intern, stands as an incredible opportunity to experience the justice system in action. And Diane would soon find out just how much action she would experience in the position. During Diane’s time within OCPO’s High Technology Crime Unit she shadowed a detective – learning the ins-and-outs of the current cases the unit was investigating. 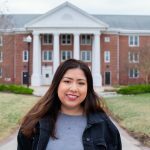 Her role gave her insight into what procedures needed to be taken, different thought processes that are implemented based on the evidence, and even provided her own input into the cases – something not many college students get to say! Diane’s office is a laboratory housing tools and devices that assist with preserving technological evidence that will later be used during court cases. 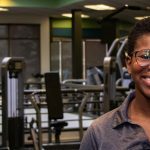 “I’m getting the chance to learn how the system works and am being given hands-on experiences that prepares me for my future in this field,” Diane says. She also has the pleasure of attending the gun range with officers, going on ride alongs, and touring the Ocean County jail. The experiences Diane gains from this internship will provide the foundation for her future career in law enforcement. “My favorite part is just being immersed in the field; they don’t treat me like an intern – they ask for my opinions and thoughts.” Diane continues with, “They make me feel very honored to work here. 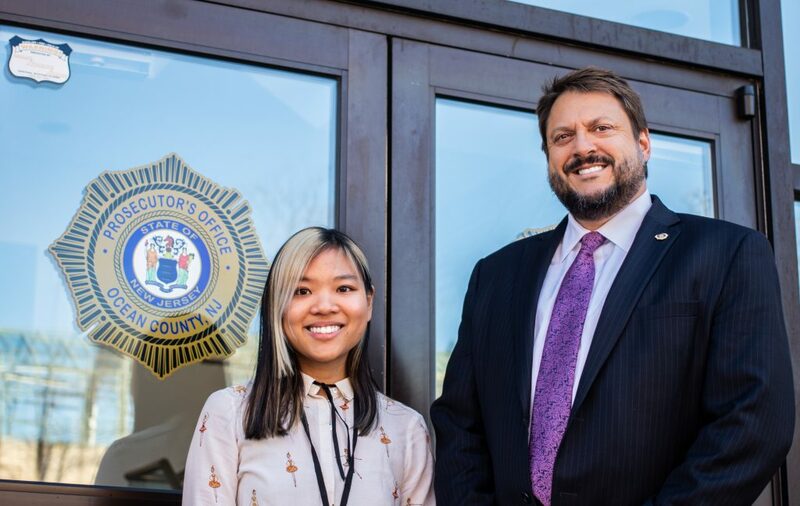 The time everyone takes to teach me, answer my questions, and properly show me what it takes to be a good law enforcer is incredibly rewarding.” It’s clear that Diane has gained a new insight into the inner workings of a prosecutor’s office. 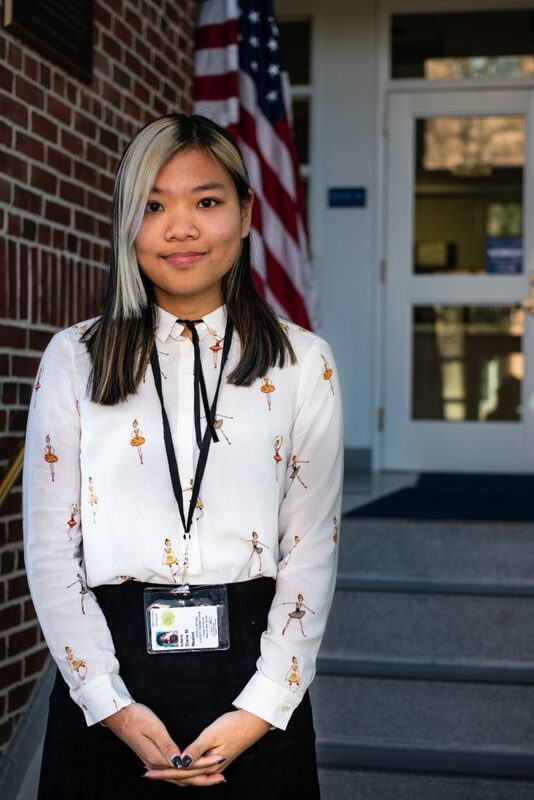 And with the experiences she gained from OCPO and the assistance of Rowan University’s networking events, Diane already has a new internship lined up with the New Jersey State Police’s High Technology Crime Unit. We are sure that time will tell that this Rowan student will go far in her career.